After his coronation, Henry VII left Doncaster with a great attendance of noblemen and gentlemen, and was met by the earl of Northumberland and a right great and noble company on Barnsdale, ‘a litill beyonde Robyn Haddez-ston’. (South Yorkshire, Vol II, p. 487) Hunter came to the conclusion that this was a reference to Robin Hood’s Well, which probably influenced Walker. There can be no doubt the Stone of Robert Hode was in the region of Barnsdale in 1422, but was it a boundary stone or guidepost as Holt has suggested? It could have been a monument to the Robin Hood of legend, who was associated with Barnsdale from at least as early as 1420. (1) There is the possibility that a Robert Hode held land in the fields of Sleep Hill, which could mean that the stone was simply a boundary marker for the extent of his land. 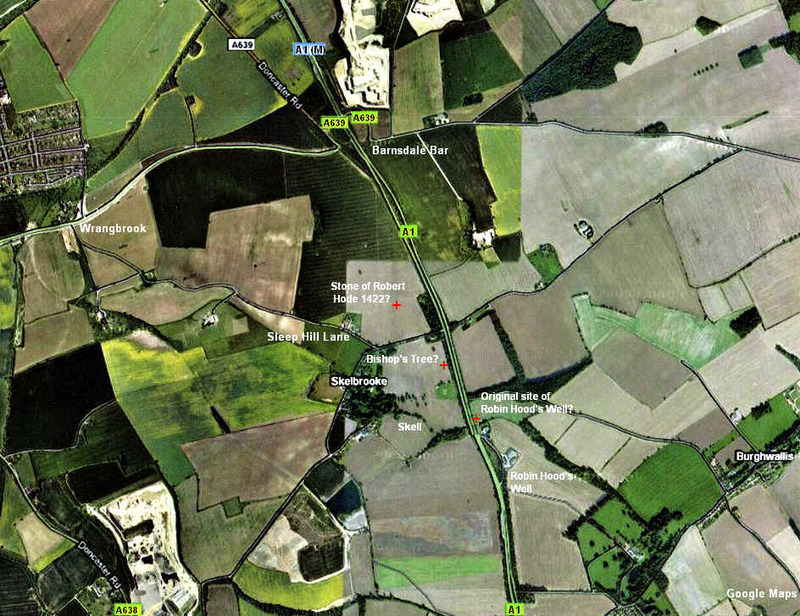 Robert Lynley has discovered an Ode family (including a Robert Ode) that was based at Moss/ Moseley in the parish/manor of Campsall, which borders both Wrangbrook and Skelbrooke, where the Butler family was established. The Ode’s had land holdings at Campsall, Ouston, Burghwallis and Barnby Dun, and there was also a Hugh Hode of Bramwith, the village next to Moss/Moseley. 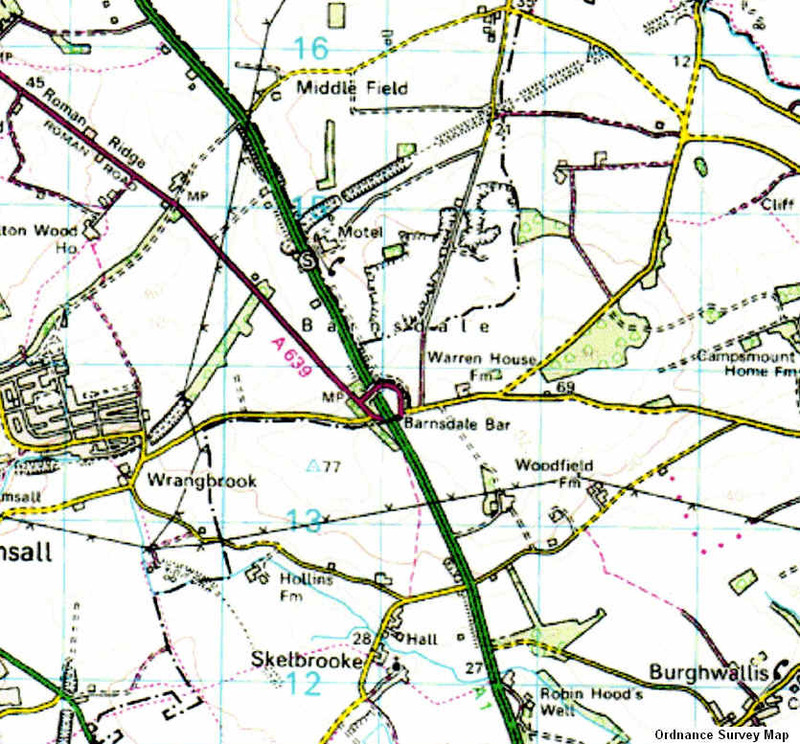 My location for the Stone of Robin Hode is based on the scale of Holt’s map, (Robin Hood, p. 85) which places it approximately half a mile north west of Robin Hood’s Well, and approximately one and a quarter miles south east of Wrangbrook.